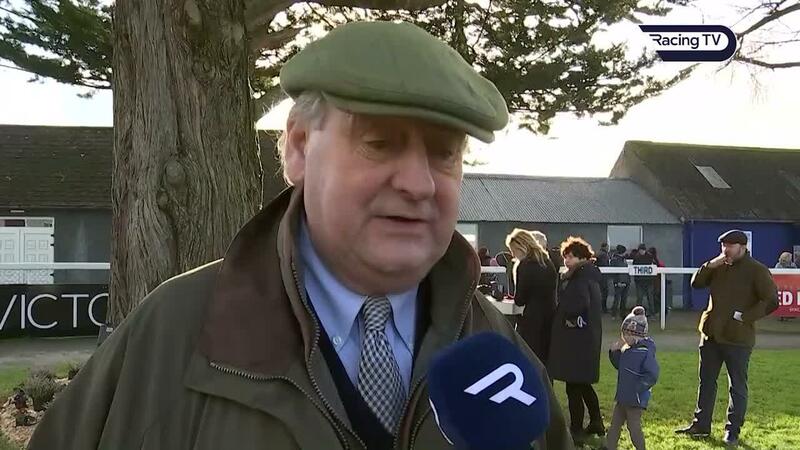 Watch a full replay of the Horse & Jockey Hotel Chase plus Gary O'Brien's interview with winning trainer Noel Meade. Tout Est Permis got up in the final stride to edge out the front-running Sub Lieutenant in a pulsating finish to the Horse & Jockey Hotel Chase at Thurles. Sub Lieutenant looked like making all the running, but the grey Tout Est Permis (13-8 favourite) – winner of the Troytown Handicap Chase when last seen – rallied on the flat to nail his rival by a short head and complete a hat-trick. It was a one-two for owners Gigginstown House Stud and a double for trainer Noel Meade and jockey Sean Flanagan, who had been successful with First Approach earlier. Meade said: “I haven’t enjoyed a winner as much in a long time, because I was down at the final fence and I was sure he was beaten and I couldn’t believe he got up. “The story is he wants further and softer ground as well as it was plenty quick for him. 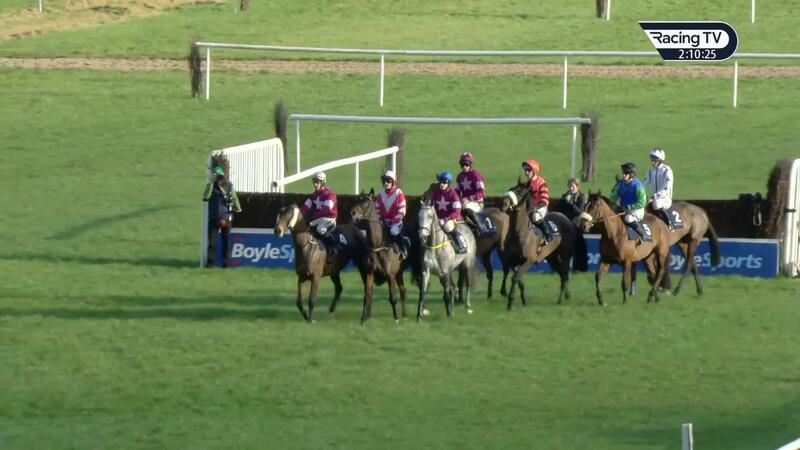 “What will happen next, I don’t know, but he could well run in the Ryanair. He is improving and is putting on weight and getting stronger all the time. “We were very sweet on him today and the other horse (Sub Lieutenant) is a good horse on his day. The mistake he made was a bad one and he should learn a lot from the race. Meade also has Road To Respect for Cheltenham, and he added of Tout Est Permis: “He is in both the Ryanair and Gold Cup and while he’d love the Gold Cup trip, he is only six so we’ll see. Tout Est Permis is a general 33-1 for the Gold Cup, and is 20-1 for the Ryanair Chase. JJ Slevin came in for the spare ride on Sub Lieutenant for trainer Henry de Bromhead after Rachael Blackmore had been stood down following falls in the two previous races.